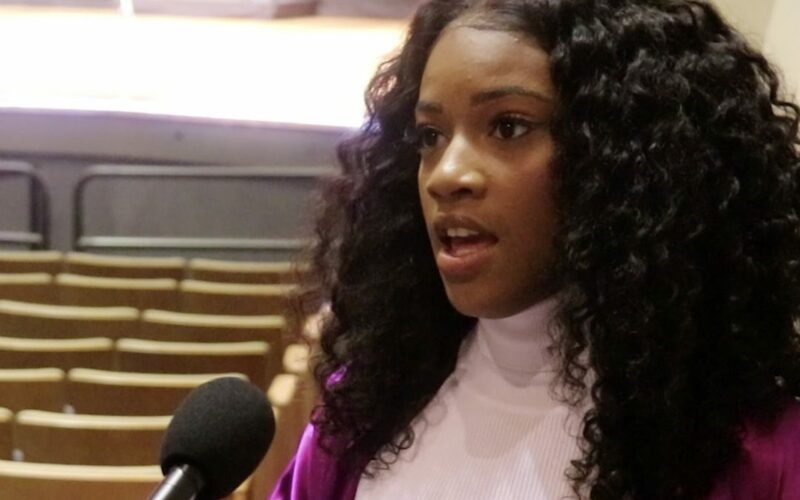 WASHINGTON– Chicago native Maya Pitts says she still feels like a winner after last weekend’s Miss Black USA pageant because she got to see her platform in action. As Miss Black Illinois, Pitts, 25, focused her platform on her SELFIE campaign which emphasized self-confidence, self-worth and self-love among women and children. She works with underserved communities as part of the National Association of Colored Women’s Clubs and volunteers with the Boys and Girls Clubs of Chicago. Over twenty contestants competed in the national scholarship pageant, which is the largest pageant created specifically for women of color. Miss Black Michigan Kelsi Horn won the title on Sunday night. Pitts said being at the pageant and sharing her platform with her fellow Sister Queens made the trip to Washington worthwhile, and reaffirmed the importance of her platform. Pitts says she wants to continue competing and helping other women like her get into pageantry. This was her second time competing in a pageant.